The PlayStation 3, or PS3, is the latest video game console from Sony. 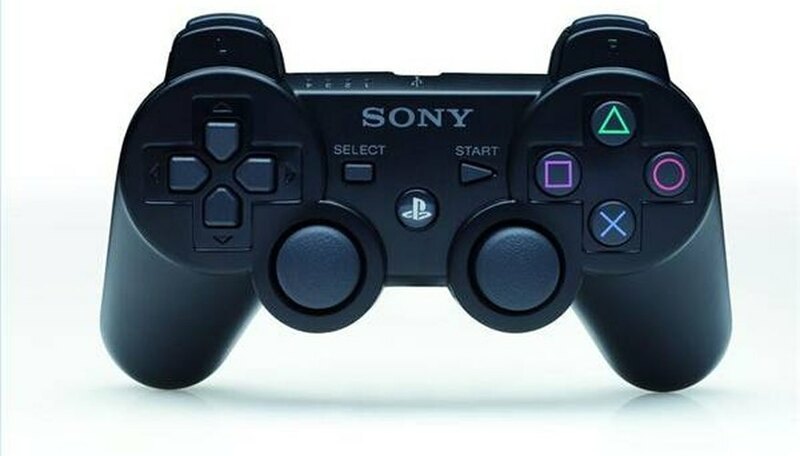 The PS3 controller features an embedded power button and dual-shock handles. If any one of the controllers components gets damaged or needs to be replaced, it can be useful to know how to properly take apart a PS3 controller. Flip the controller over and remove the five screws that hold that two halves of the controller together. There will be two screws on each handle and one screw in the center of the controller. Once all the screws are removed, take the back cover off the controller and set it aside. Locate and remove the battery pack for the PS3 controller. The battery is the black square in the center of the controller. There will be two wires leading away from the battery and attached to the motherboard. Lift up on the plastic tab that holds down the wires and set aside the battery pack. Once the battery is removed, take out the white plastic piece on which the battery pack was resting. This piece will not be connected by anything so it will lift out freely. Unscrew the dual-shock "rumbles," which are the small vibrating pieces in each of the controller's handles, and remove them. Remove the one screw that holds down the motherboard of the PS3 controller. This screw is located directly in the center at the bottom of the green motherboard. This screw will either be black or silver depending on the color of controller you have. Lift up on the left and right trigger button of the controller. Once the two triggers are popped out you will be able to remove the motherboard. Remove the touch pad that controls the buttons of the PS3 controller. You can simply lift the left and right trigger buttons out of the controller and the touch pad will come out with it. Once the touch pad is removed, the last pieces of the controller you can take out are the rubber covers of the front buttons. These rubber pads will lift out freely, too.